Side story: My minuscule-bordering-on-microscopic hometown is one where people, my family included, didn’t have gardens: they had fields. I didn’t realize how completely I took fresh, homegrown veggies for granted until I moved to Atlanta and had to buy produce on my own dime. I remember being in shock both at the price of tomatoes (!) and at the fact that they didn’t even smell like tomatoes (!!). I’ve gotten over the cost – somewhat – but the lack of tomato-y smell still bugs me. 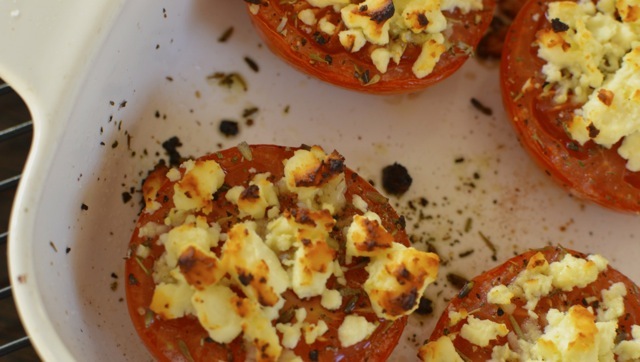 Quick note: This dish is super easy and extremely customizable. 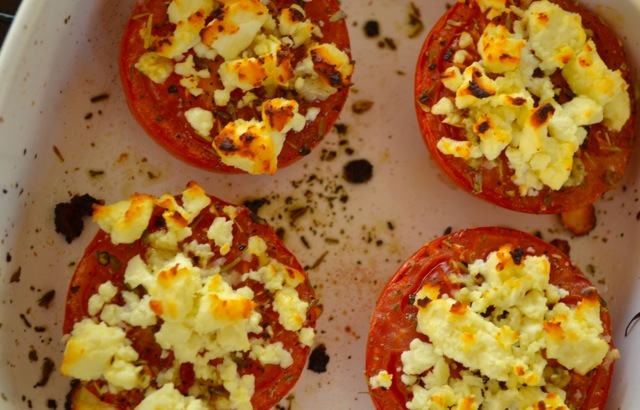 Use whatever seasonings and cheeses you like or have lying around. 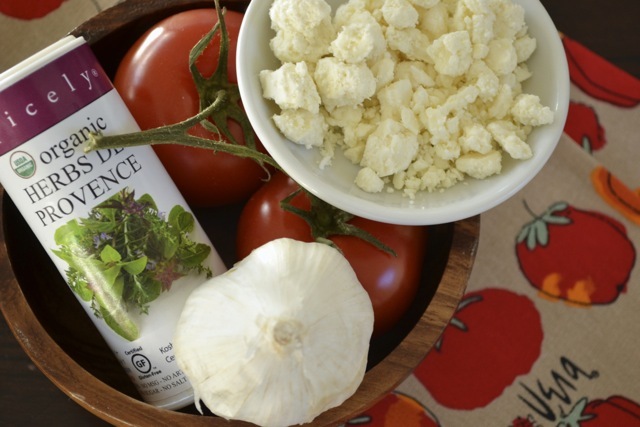 Ingredients: The serving size depends upon whether this is a side dish or main course. For reference, I gobbled up this whole plate full right after I took these pictures. But that’s just me. 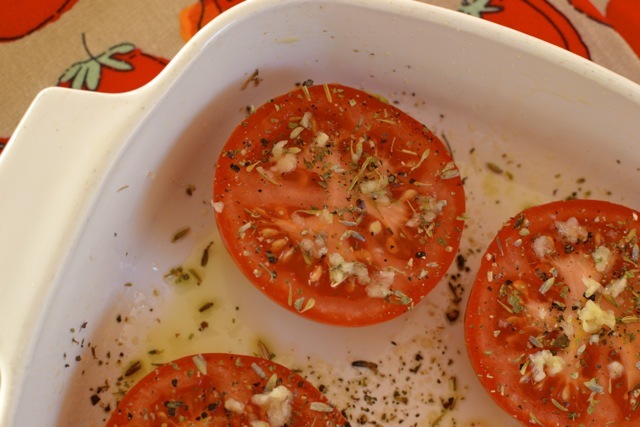 Lightly oil baking dish with EVOO. 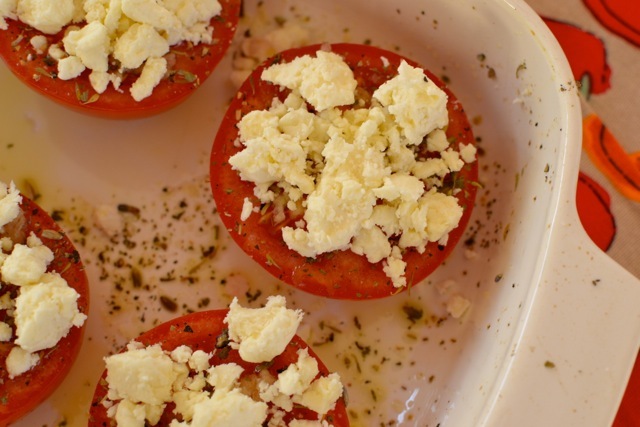 Place tomatoes – cut side up – in dish, and drizzle with EVOO. 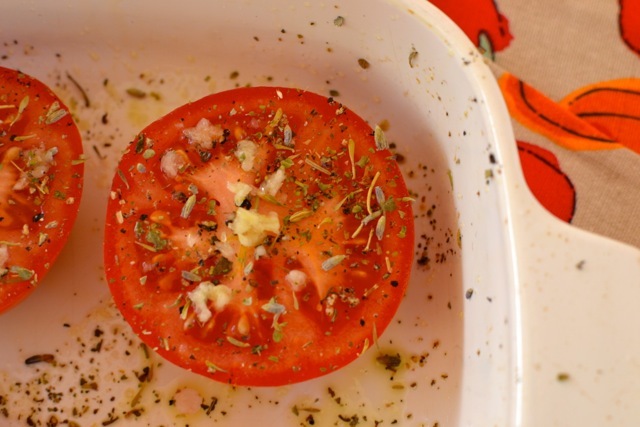 Season tomatoes generously, and add minced garlic. 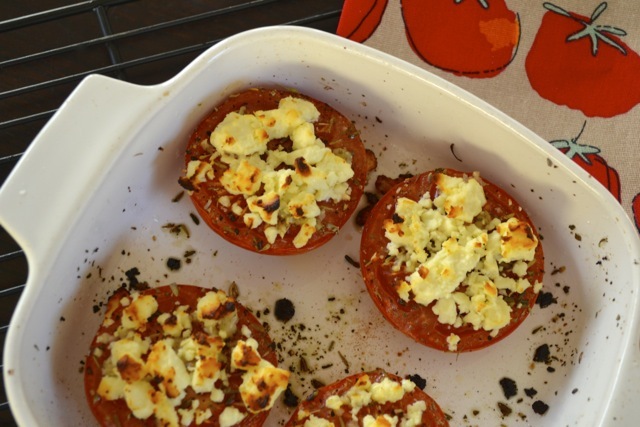 Top tomatoes with crumbled feta, and bake for approximately 20 minutes. Now, I’m a Southerner, so I can’t wait to serve these with creamy grits and turkey bacon for breakfast/brunch. I’m adding this to my list of menu items when my cleanse is complete. Sounds delicious! It’s so easy and just plain good! Plus, I love the fact that it’s adaptable to whatever I have in the kitchen. I made the recipe with just salt and pepper once, and it was yummy, too.